This morning I'm going to break a blaster of 14/15 O-Pee-Chee. This longtime brand has been enjoyed by collectors for decades now. It has really held true to its roots and delivers a break that definitely has an old school/retro feel to it. I sometimes hesitate to purchase OPC because I feel that the potential for a nice hit is almost zero... but reflecting on that... I shouldn't have those hesitations. OPC delivers a box breaking experience that can be a lot of fun. Though the prospects of getting a huge card are slim, The sum of all the cards opened in a break of OPC can be just as good as other products at retail. I'd purchase OPC with a mindset of set collecting. There are plenty of cards in the set, which make it a fun challenge. Stickers and inserts within the set add additional interesting things for collectors to find. When I began to open the blaster, I found that the wrapping did not have the official Upper Deck wrapping plastic. Usually that's a bad sign as the box could have been tampered with. I could have stopped the break right then and there, but decided to just go for it because I just couldn't see why anyone would tamper with a blaster of OPC. As it turned out, the blaster delivered some nice cards that I really liked. OPC blasters give you plenty of cards to look at and enjoy. I was able to get some big names as well as a couple of nice rookie cards in my box. I always enjoy getting cards of The Great One. 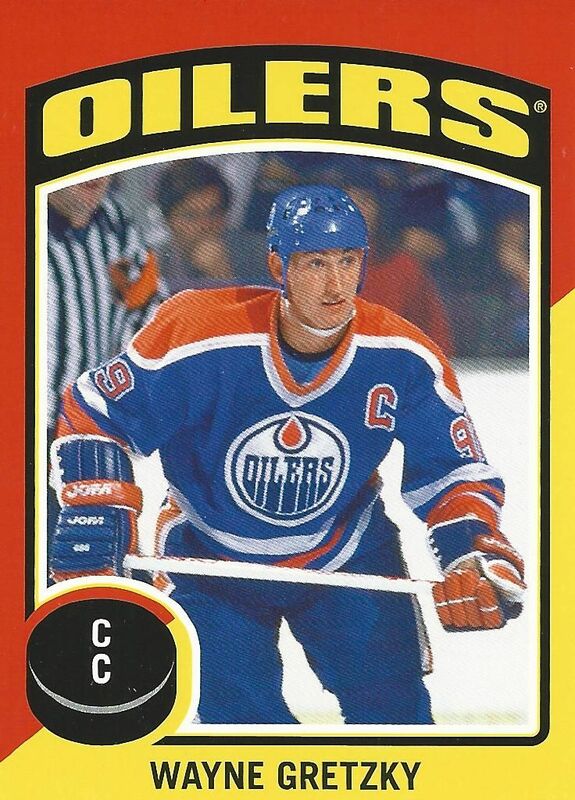 The retro look of this sticker card adds to its charm and looks like it could have been released when Gretzky was actually still playing. It's sweet getting rainbow parallel cards of big NHL stars in OPC as they can be tough pulls due to the largeness of the set. 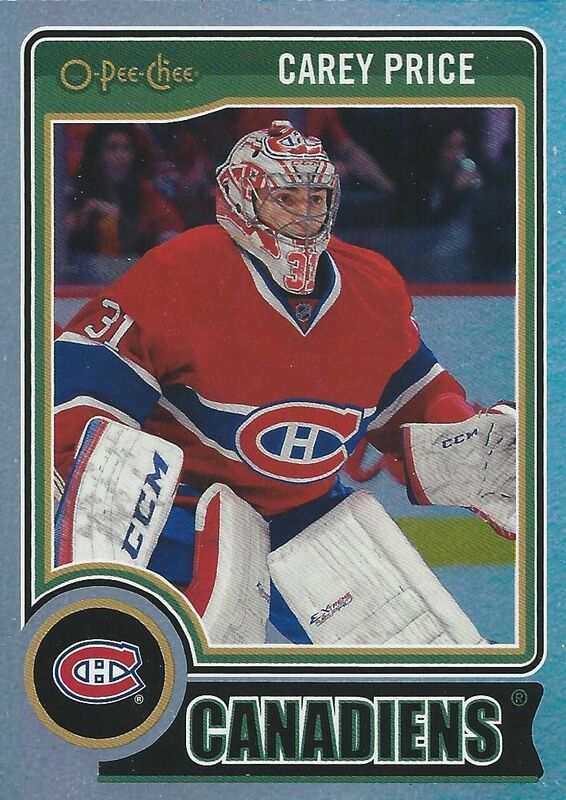 Carey Price is definitely one of the best goalies in the league and I was happy to pull this card! 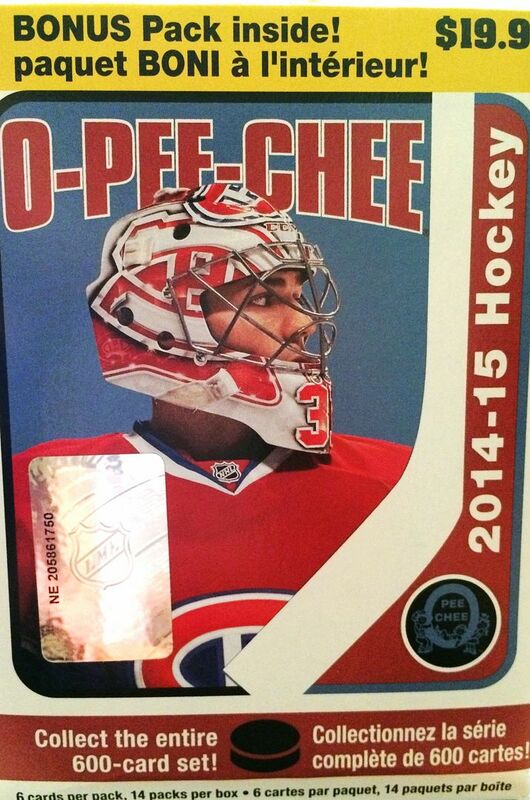 Usually OPC is pretty sparse when it comes to getting rookie cards. This blaster got me two good rookie cards from 14/15. 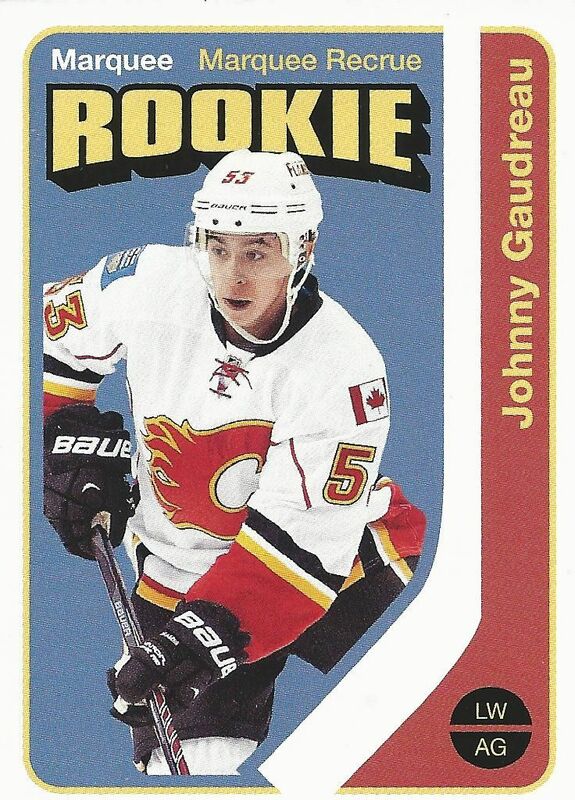 Gaudreau has been a very popular player and I don't have many of his cards so this was a nice one for me in particular. The value was definitely there with this blaster of OPC. Just in the top three cards alone I was able exceed the value of what I paid for the blaster (using eBay pricing). Sure, you'll never get value in the stratosphere with OPC, but I would say that OPC is a rock solid product for what it is. The formula continues to work for this brand and hopefully will long into the future.